If You’ve Been Avoiding Dental Appointments Due to Economic Reasons, You’re Not Alone. 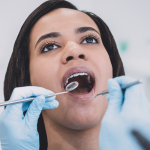 The American Student Dental Association has identified four barriers to accessing dental care and lack of finances is listed as number one. If you are one of the 181 million who will not visit a dentist this year because you have limited finances, you are not alone. 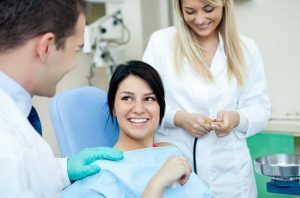 Acquiring a dental care discount can help you access the vital oral health care you need to stay healthy. 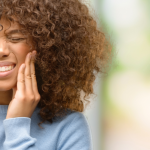 Brushing and flossing regularly help to prevent cavities, but were you aware of the following health conditions associated with poor or improper oral hygiene? Increased risk of dementia. 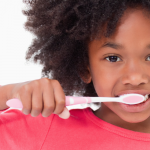 Those who brush their teeth less than once a day are 65% more likely to develop dementia. Diabetes. 95% of US adults with diabetes also have periodontal disease and 1/3 have advanced disease that has led to tooth loss. People with diabetes are more susceptible to contracting infections. In addition to having a higher risk gum disease due to diabetes, periodontal disease may also make it more difficult to control blood sugar, putting the patient at risk for even more diabetic complications. The easiest ways to prevent these potential problems are by brushing and flossing your teeth twice a day, replace your toothbrush every 3-4 months, minimize high acid and high sugar foods and drinks, avoid tobacco use, and schedule routine dental visits every six months. No one should have to choose between paying for dental care and paying bills. 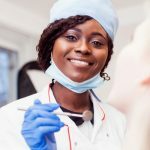 Penn Dental Medicine helps people overcome the financial barrier to dental care by being a student-operated clinic which naturally provides a dental care discount. Take advantage of the benefits of our teaching practice has to offer, without sacrificing quality care. We offer payment plans, and accept most discount dental plans. If you are interested in learning more about a dental care discount or want to schedule an appointment, please contact us at 215-898-8965.